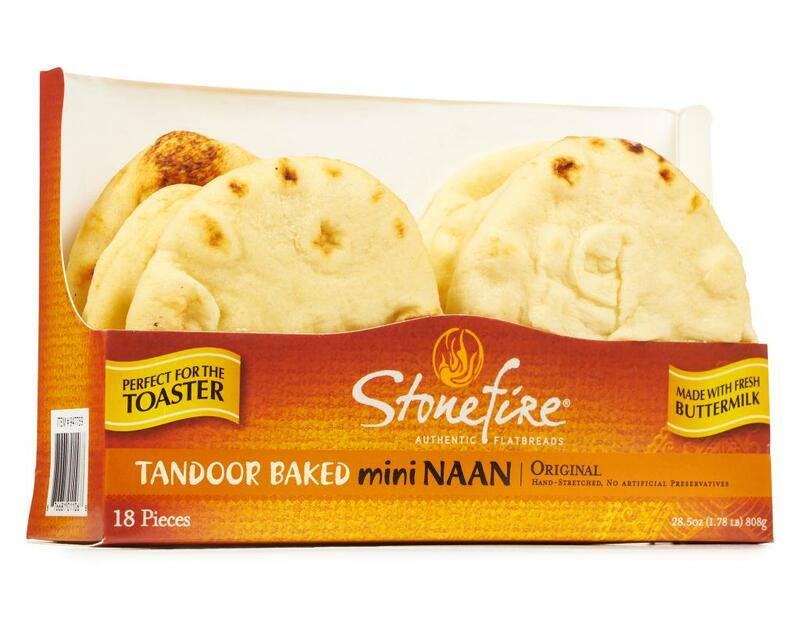 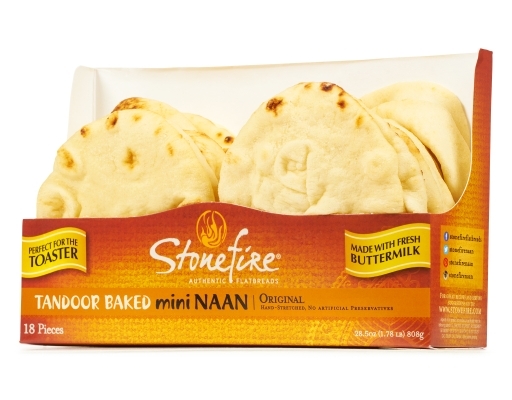 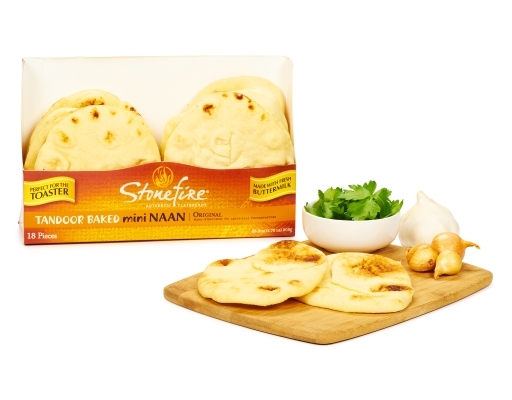 Stonefire naan is made with authentic ingredients like fresh buttermilk and ghee, hand-stretched and then baked in a tandoor oven at high heat creating the signature bubbles and smoky flavor found in traditional naan. 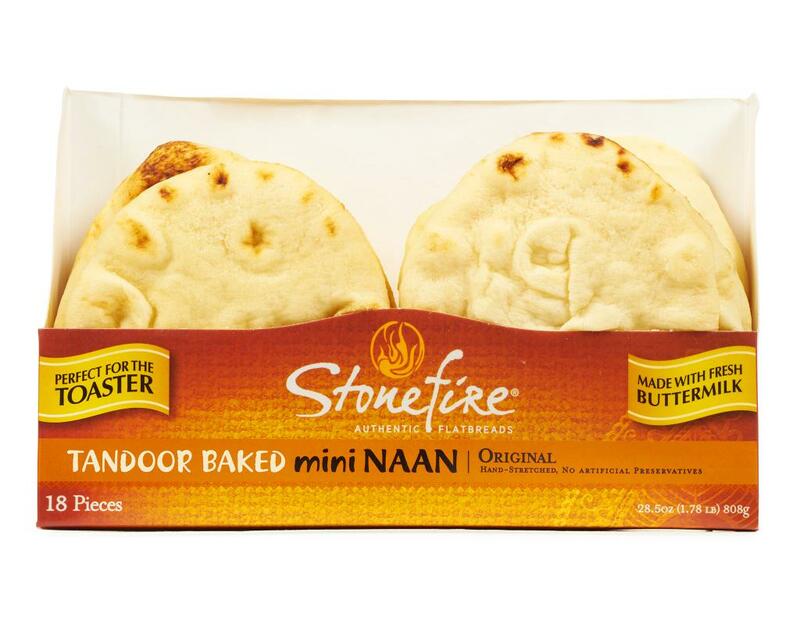 Stonefire Bakery is a family business with over 40 years of experience. 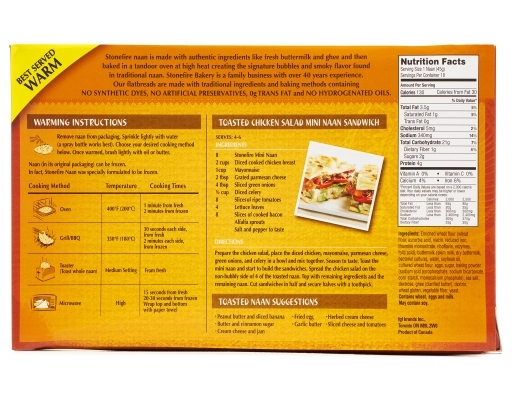 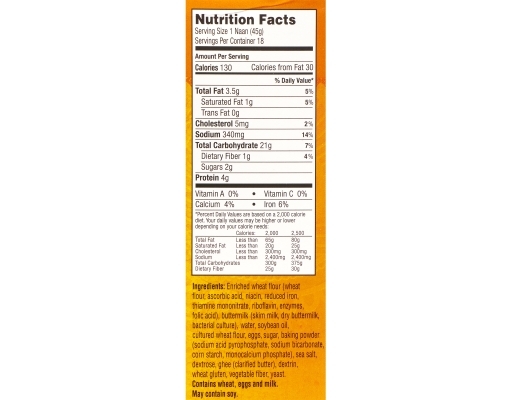 Enriched Wheat Flour (Wheat Flour, Ascorbic Acid, Niacin, Reduced Iron, Thiamine Mononitrate, Riboflavin, Enzymes, Folic Acid), Buttermilk (Skim Milk, Dry Buttermilk, Bacterial Culture), Water, Soybean Oil, Cultured Wheat Flour, Eggs, Sugar, Baking Powder (Sodium Acid Pyrophosphate, Sodium Bicarbonate, Corn Starch, Monocalcium Phosphate), Sea Salt, Dextrose, Ghee (Clarified Butter), Dextrin, Wheat Gluten, Vegetable Fiber, Yeast. Contains: Wheat, Eggs and Milk.